A tribute to the township of Tullah, the base for the Pieman King and Anthony Power scheme and the last of the eleven hydro-electric villages. 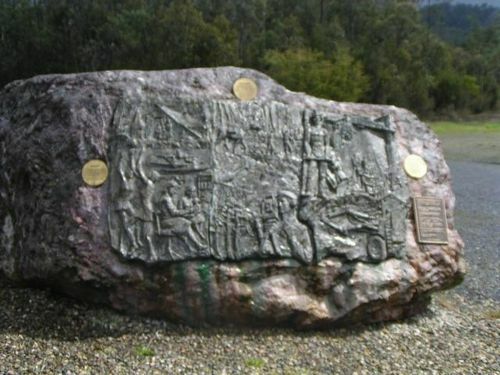 This sculpture was commissioned as a tribute to the township of Tullah, the base for the Pieman King and Anthony power schemes and the last of eleven Hydro construction villages. maginificent Tasmanian hydro electric system. The completion of the Anthony Power Scheme in 1994 saw the end of major hydro electric development in Tasmania. It also saw the end of the 'Hydro villages' which have been a part of the Tasmanian landscape for 80 years. Whilst our construction days are over, we will continue to bring clean hydro-electricity to the Tasmanian community as we have done since 1916.